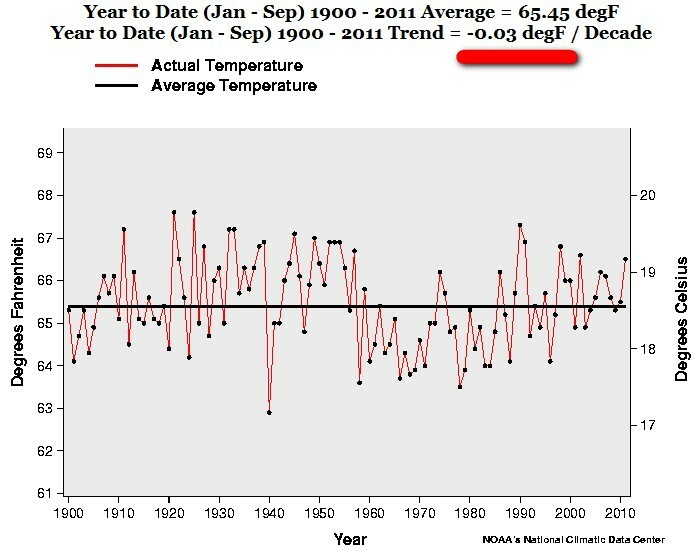 Here is the second part of my regional analysis of the recent 9 months (year to date, January-September) US temperature from a regional perspective. 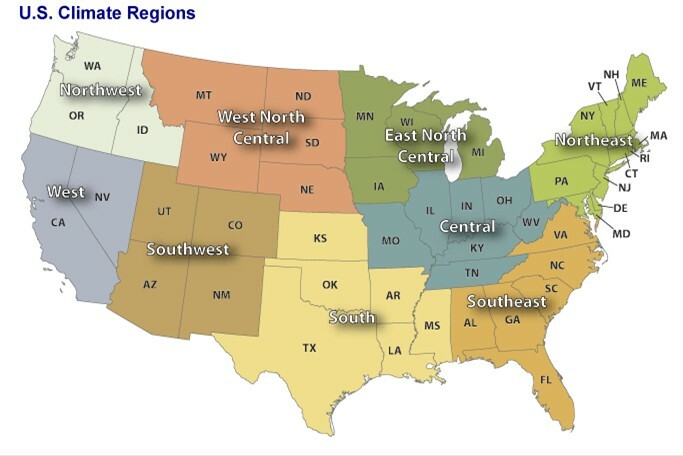 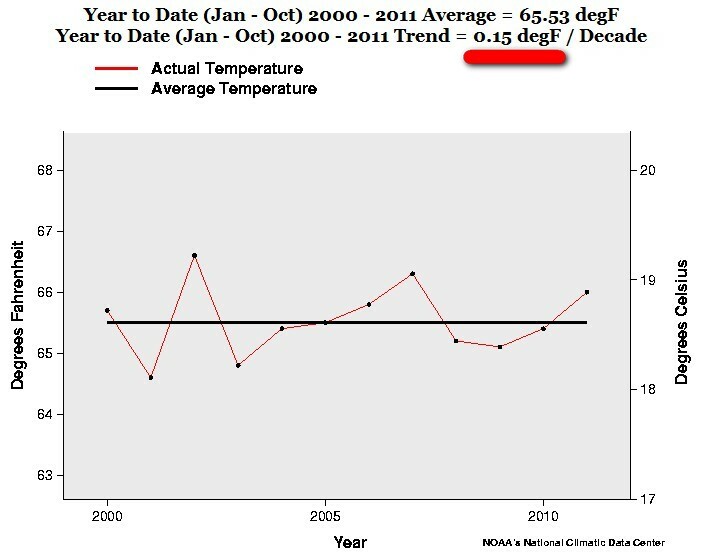 So the “warming trend” 2000-2011 is exactly – 1.84 F, – 0.19 F and – 1.05 F degrees COOLER a decade for these 3 regions. 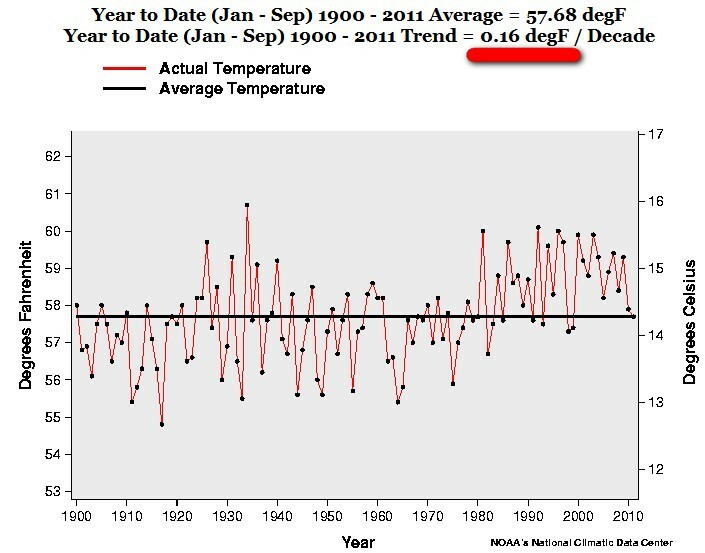 That is a whopping – 18.4 F, – 1.9 F and– 10.5 F COOLER in 100 years. 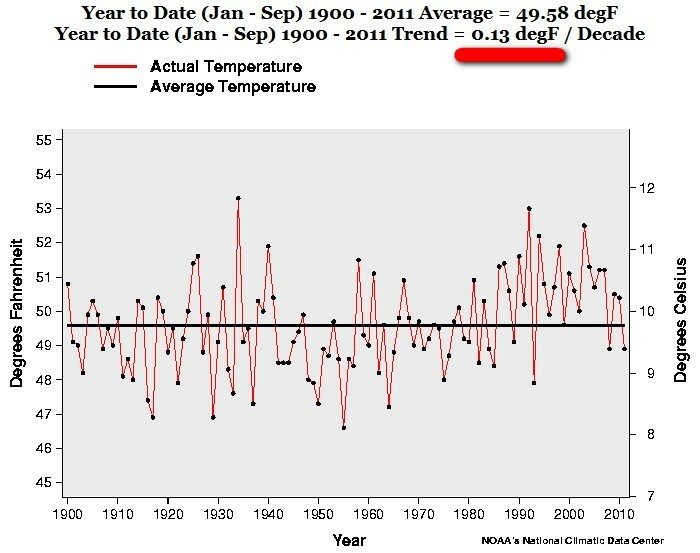 The freezer next! 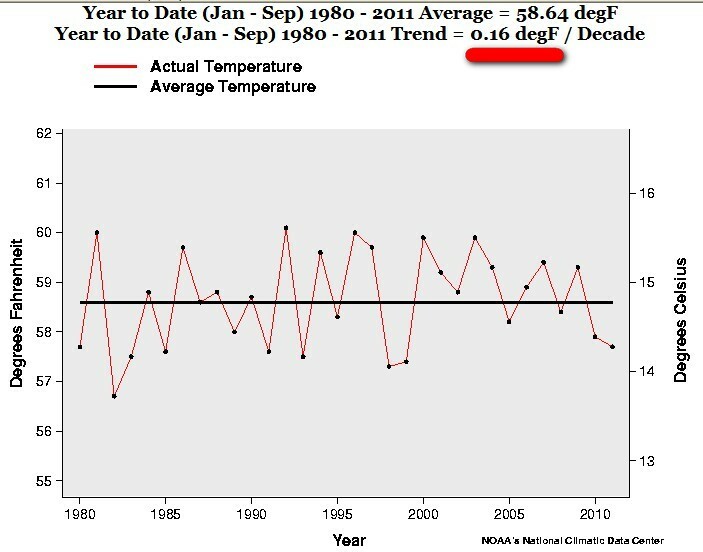 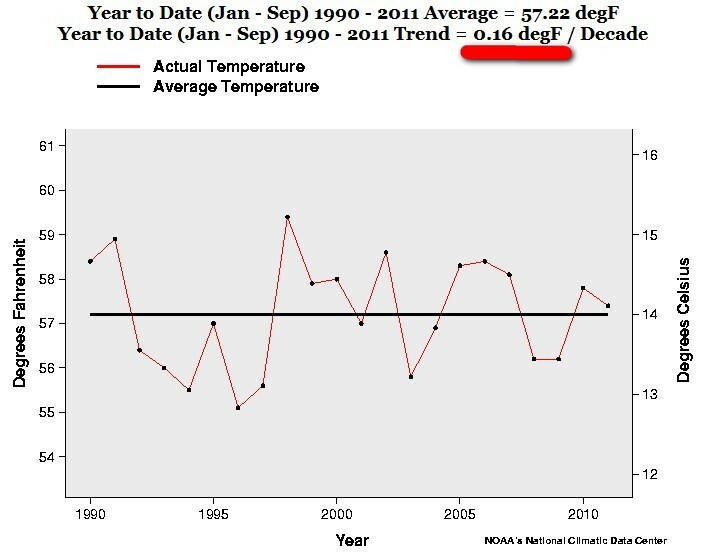 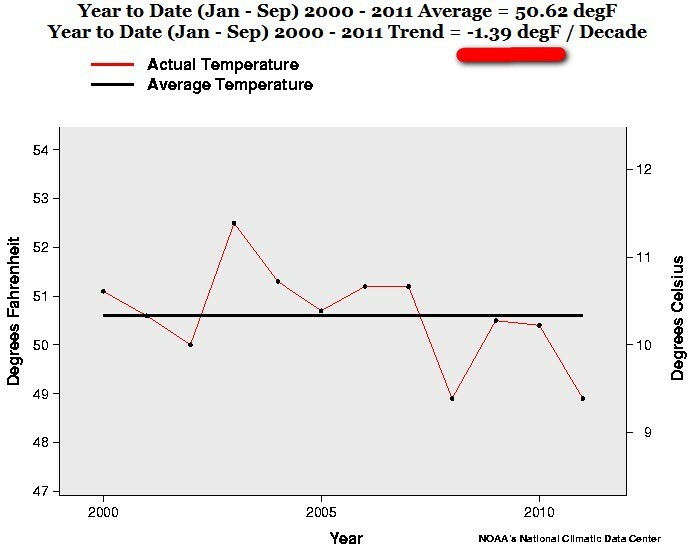 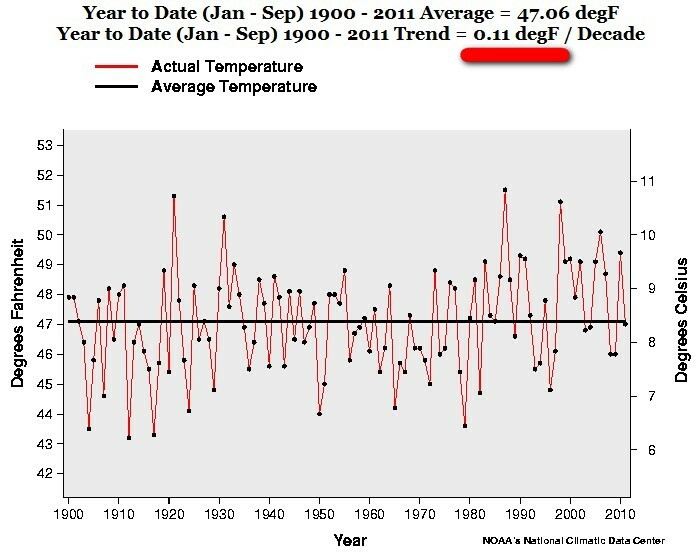 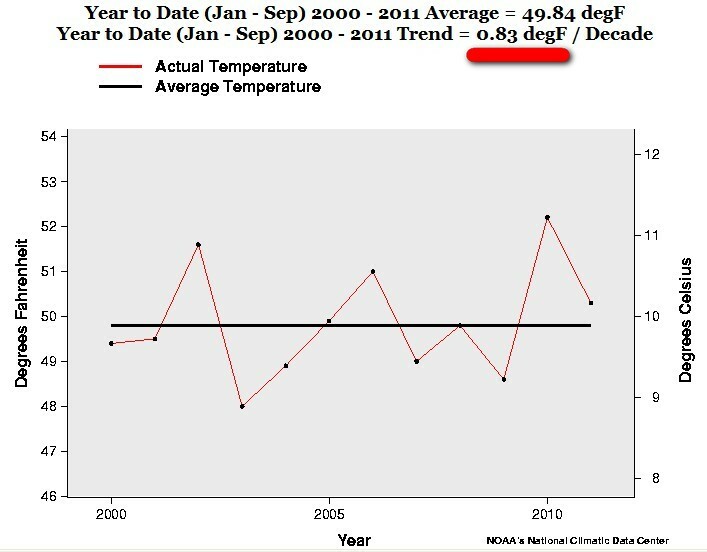 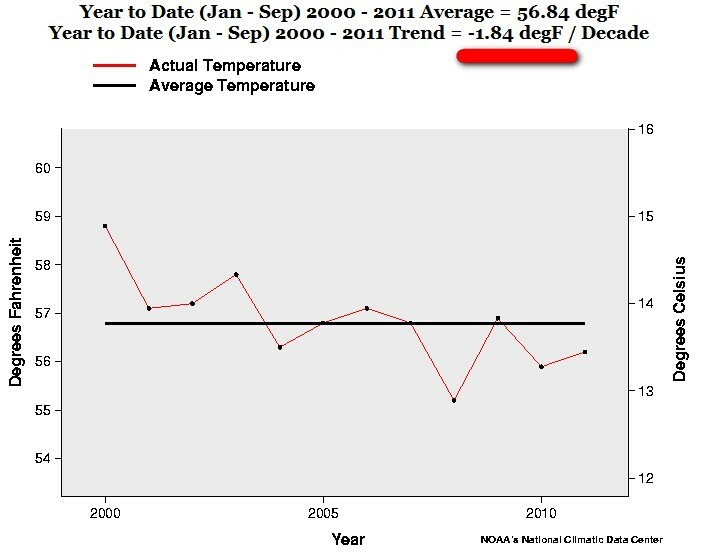 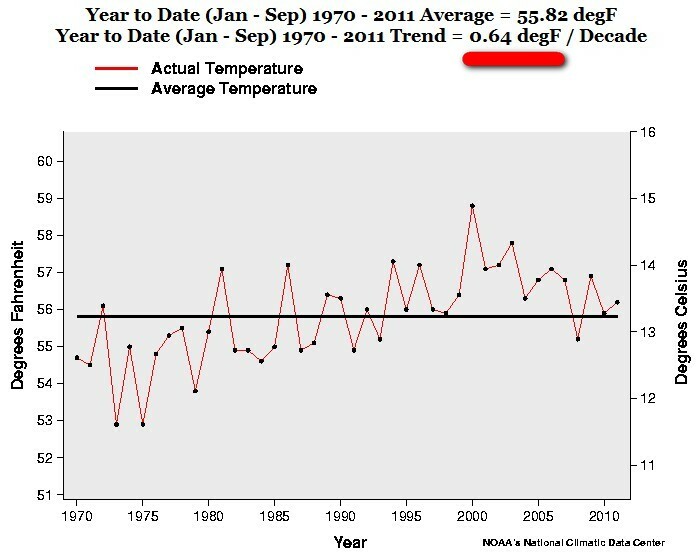 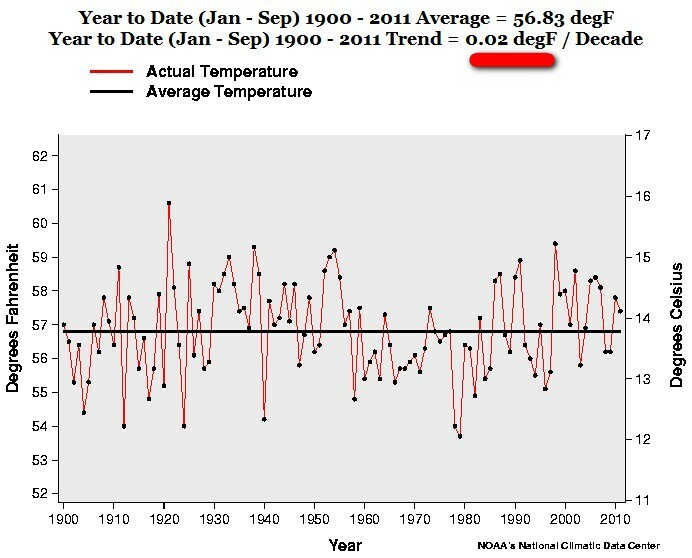 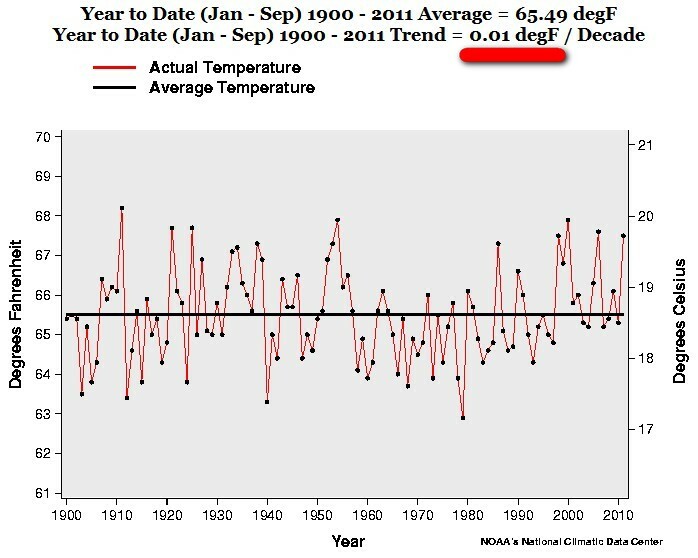 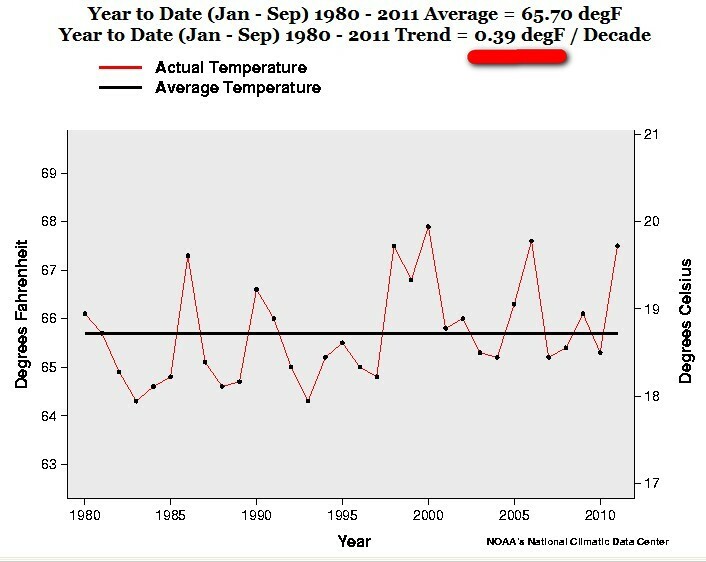 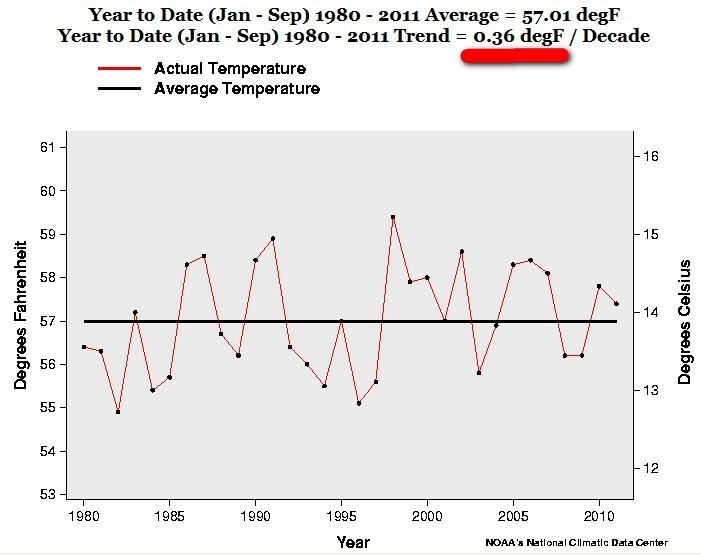 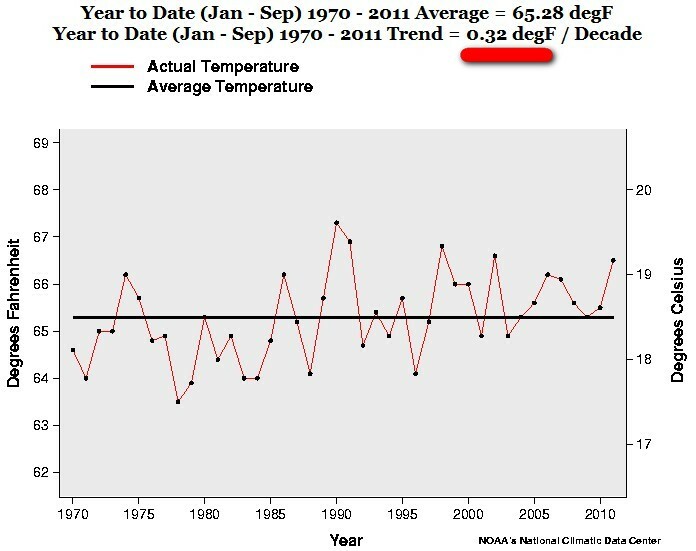 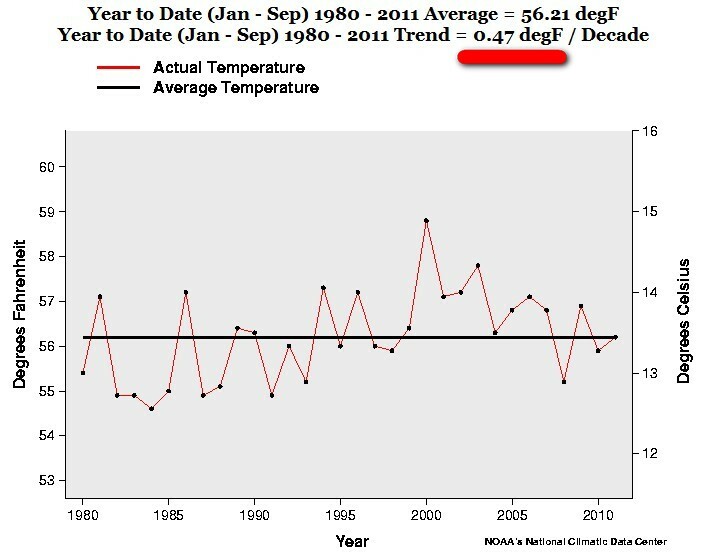 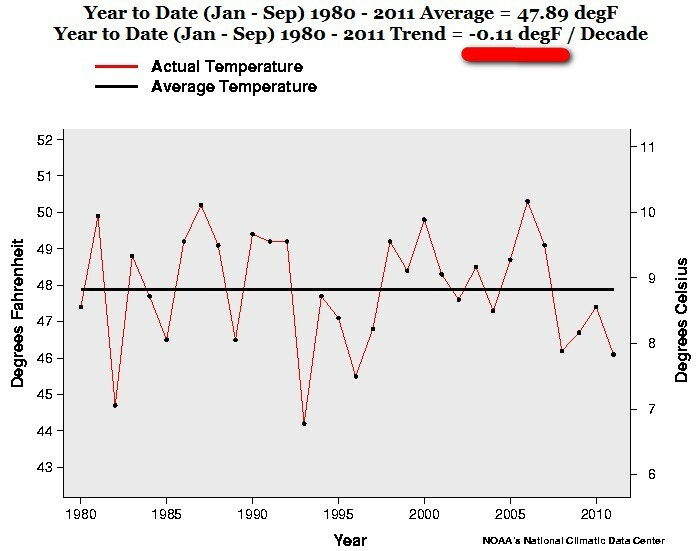 The Southwest recent 9 months trend 2000 -2011 is exactly – 1.84 F degrees a decade. 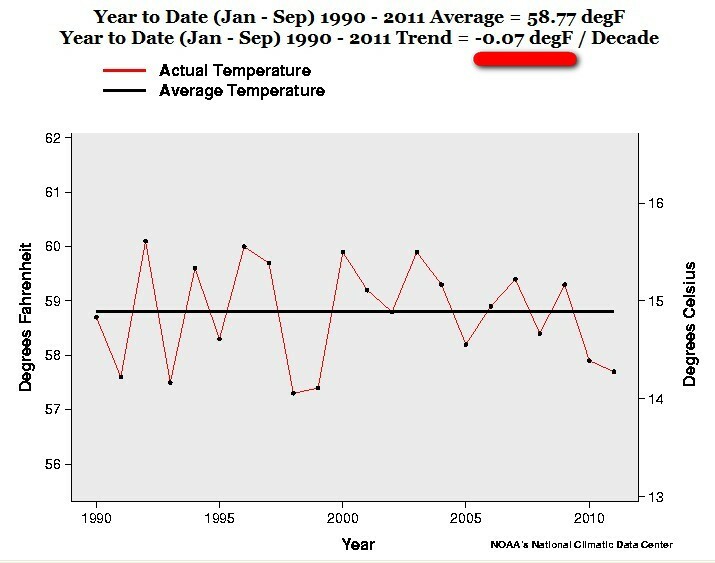 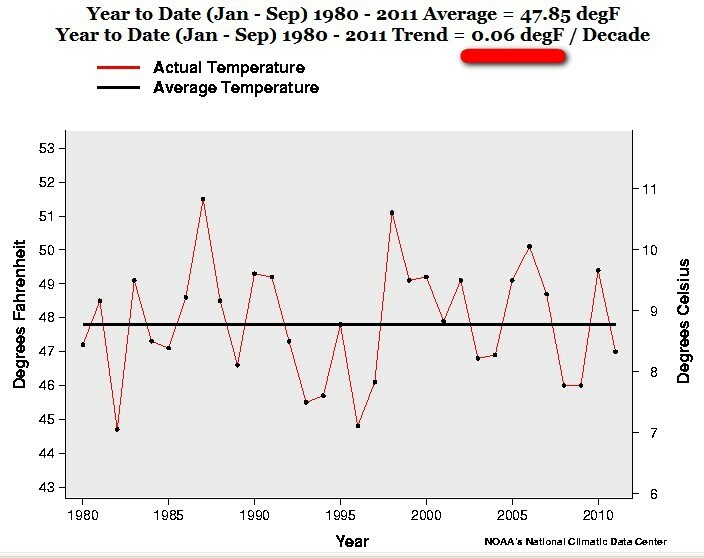 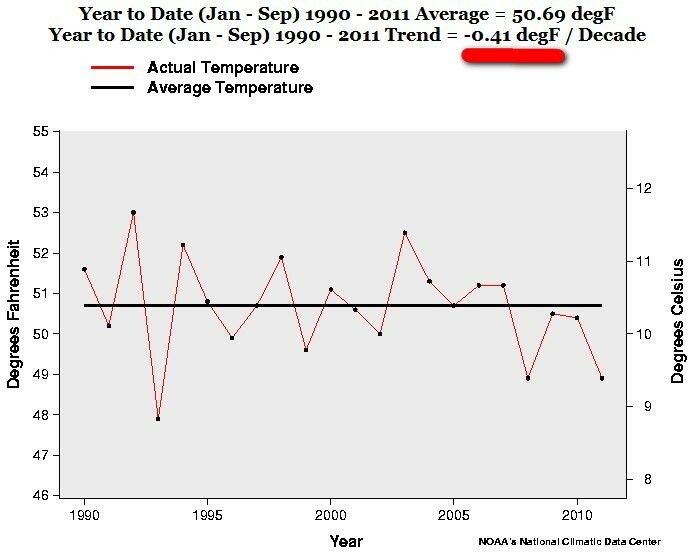 The South recent 9 months trend 2000 -2011 is exactly – 0.19 F degrees a decade. 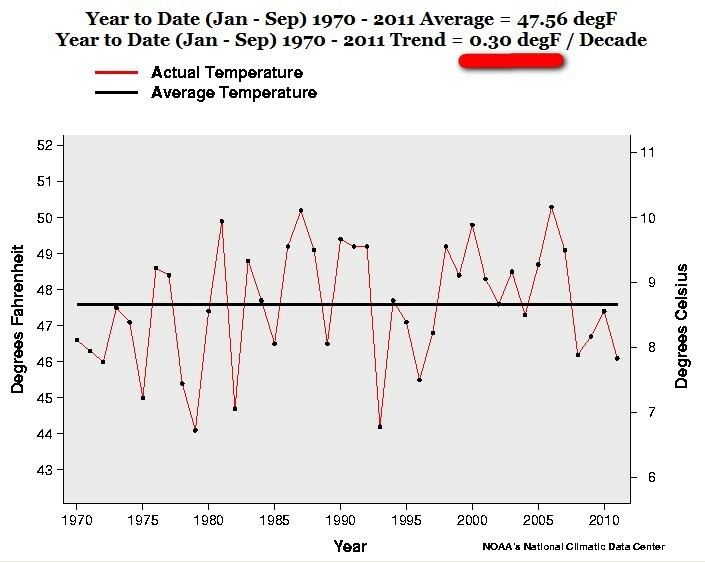 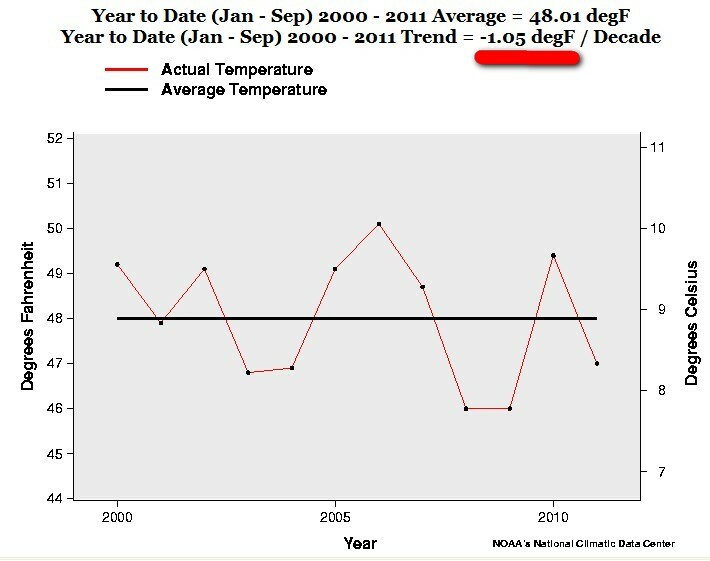 The East North Central recent 9 months trend 2000-2011 is exactly – 1.05 F degrees a decade. That is truly “Global Warming” on a regionalUSstyle.